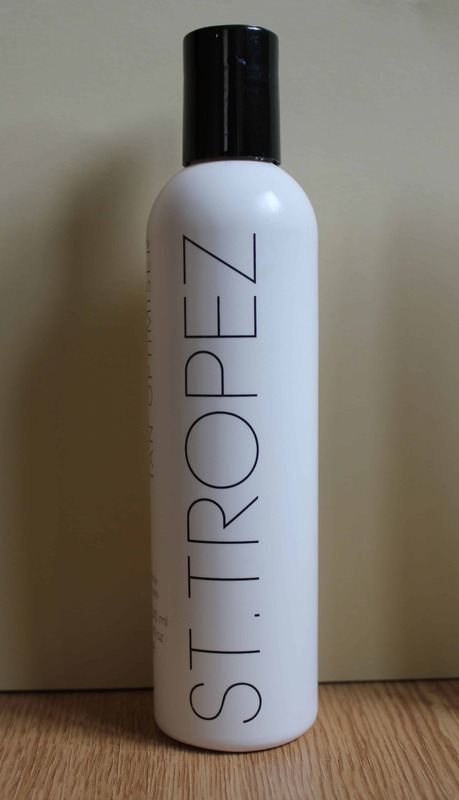 Need a quick tan just for today and want it gone by tomorrow, well you are in luck because tanning experts have whipped up the St. Tropez Instant Glow Body Lotion (Wash Off). You can use this lotion for night on the town, or on a date for a nice healthy glow without the commitment. As always before you do any self tanning you should exfoliate and moisturize for days prior to application for a smoother application. Review after the jump! The St. Tropez One Night Only Instant Glow Body Lotion gives you a natural glow with just one layer/coat. Don’t attempt to pile on too many layers because it can make your skin look a little muddy. I tried to apply two layers and it wasn’t too good even though I waited for about 5 minutes in between the coats. Stick to one coat! I applied the lotion with the tanning mitt (pick that up at just $6 its a great tanning applicator and is reusable, just wash, dry and reuse) and waited until I was fully dry to put on my clothes. The tan will not transfer after its dry, but if you plan to sweat a lot, get wet or jump in a pool then do not use this lotion. To take off your glow just use soap and water to wash off … I was back to my natural skin tone in no time. 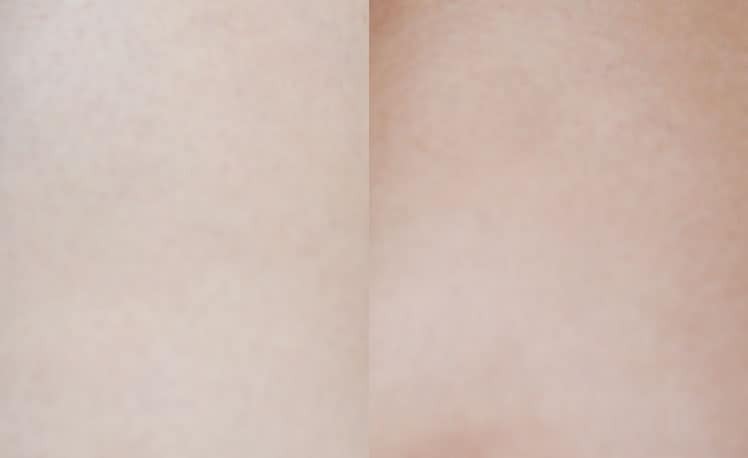 Skin sample from my leg (before and after)! Pros: Fast, easy color. 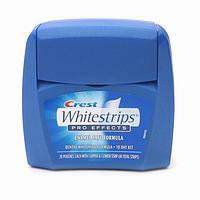 Lasts for just one day. Cons: Takes longer to dry than the tanning mousse…just 60 seconds (review here). Don’t get wet, lotion will run! 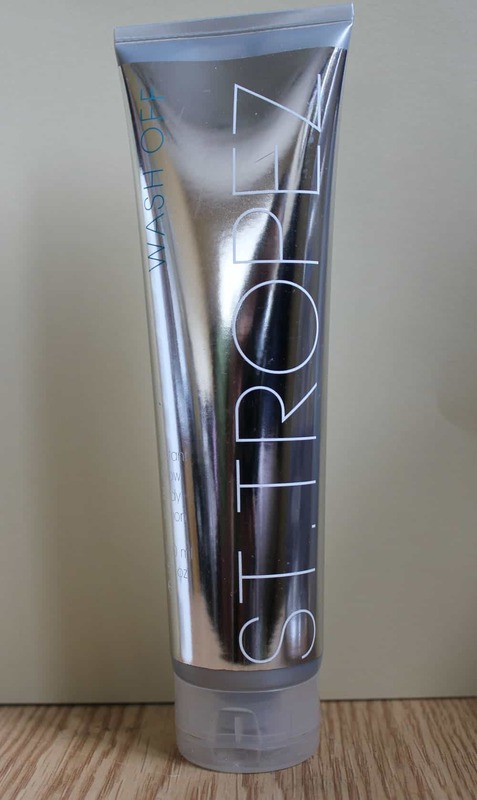 Something to consider when you purchase your St. Tropez items…Check out the St. Tropez Tan Optimizer Body Polish, $20 as an exfoliator, not only was I left with baby soft skin, but its gentle and I love the consistency not sticky and thick but not runny! Dakota Fanning The New Face of Marc Jacobs’ Oh Lola! Smile– your teeth are showing!!! Rihanna Debuts New Fragrance ‘Reb’l Fleur’ at Macy’s!! 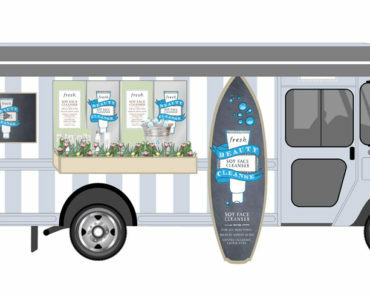 Live in NYC…Check Out The Fresh Beauty Cleanse Pop-Up Truck (July 25 & 26)!! !